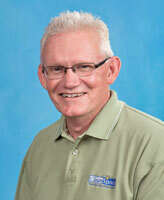 "John is very courteous, pleasant to be around. Completely knowledgeable in his area of work." "The crew that performed the work on my house impressed me beyond my expectations. They took pride in their work. Cleaned up..."
"Chris and his helper were courteous, neat, did an excellent job, and cleaned up completely after finishing." "The crew that did the installation was good and very helpfull in explaining what they were going to do and were very courteous..."
"Chris and Brian didn't mind getting dirty and worked hard every day. The crawlspace looks better than I ever imagined. I told my..."
Crawl Space Solutions of Arkansas is your local Basement Systems® dealer in the Arkansas area. 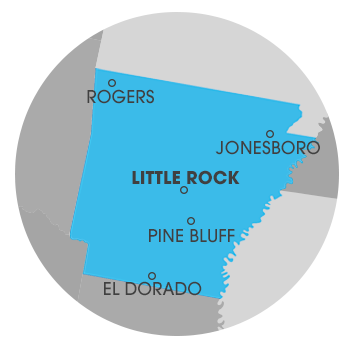 We serve Benton, North Little Rock, Little Rock, Jacksonville and many outlying areas, including Maumelle, Greenbrier, Sherwood, Alexander and nearby. See our full service area. As basement waterproofers and crawl space repair experts, we are locally owned and operated contractors who have been in business since 2008. As a certified CleanSpace® Crawl Space Repair dealer, we have exclusive access to a wide variety of waterproofing products that have been used in over 200,000 basements since 1987. John Cossey leads a dedicated team of professionals creating healthier, more energy efficient, environmentally friendly solutions for basements and crawl spaces. Locally owned and operated, the Cossey's pride themselves on providing outstanding service to all their customers. With innovative solutions for encapsulating and repairing crawl spaces, Crawl Space Solutions of Arkansas has become one of the leading Basement Systems® dealers in Arkansas. At Crawl Space Solutions of Arkansas, we offer free, no-obligation waterproofing quotes to homeowners within our service area.